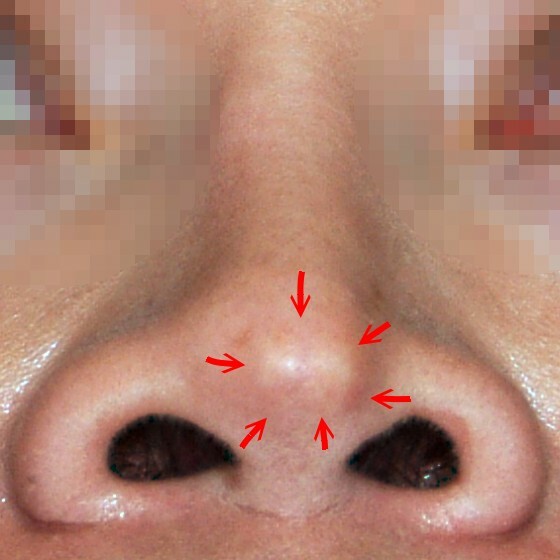 Impending extrusion of nasal implant after augmentaion rhinoplasty. Red arrows indicate a white spot where the implant is impending to come out. A. Remove the implant only. B. 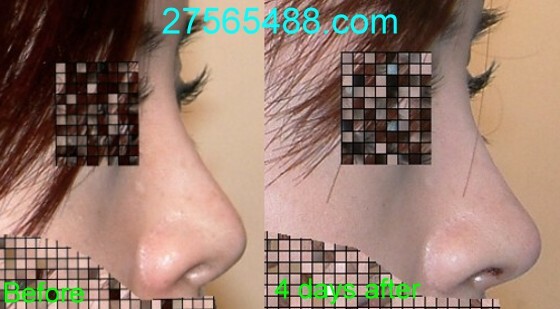 Keep the implant and put an onlay cartilage graft in order to protect the nasal tip. 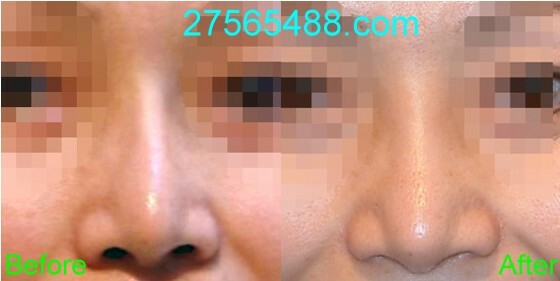 C. Remove the implant and replaced with ear cartilage graft for augmentation. 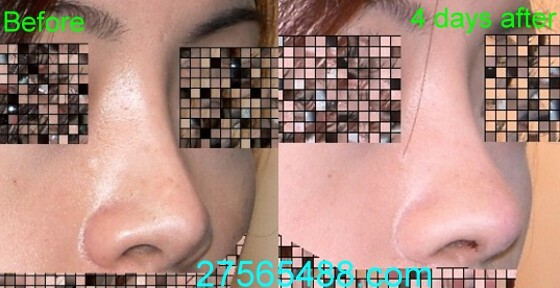 B. Nasal tip cartilage graft to protect the nasal implant. 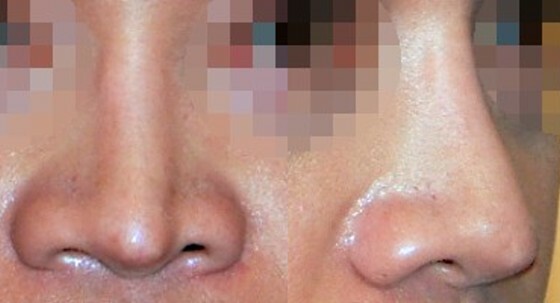 Left: Augmentation rhinoplasty with a implant done before and now showed sign of impending extrusion. Right: Small amount of self cartilage taken from the patient's rt. ear grafted into the nose tip, 4 days after surgery. The whole procedure was done through inside of rt. nostril and left no visible scar. 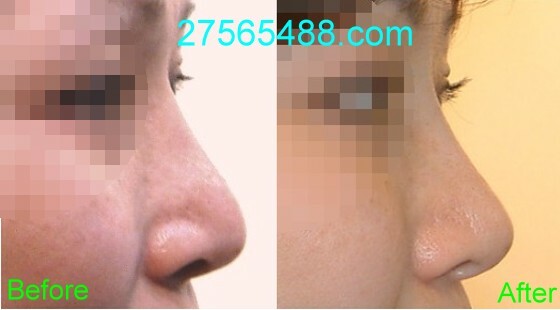 4 days after an onlay cartilage graft to the nose tip, the nose appears more natural c.f the picture taken before surgery.